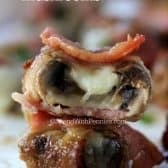 Bacon Mozza Stuffed Mushrooms! 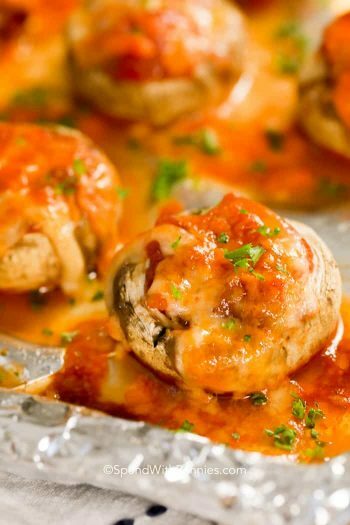 My favorite Stuffed Mushroom Recipe! I don’t know about you but I always love a good stuffed mushroom recipe! This one is one of the best though because it has all of my faves in it! Bacon, cheese and mushrooms. Seriously, how could this be anything but delicious??? 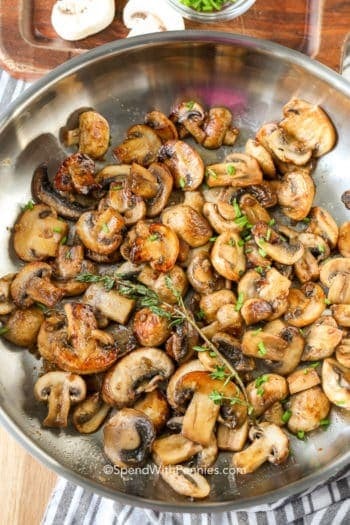 Mushrooms can be stuffed with anything from salsa to Pizza Stuffed Mushrooms and are usually quick to make. You want to bake these at a fairly high temperature to crisp up the bacon while making sure the cheese doesn’t leak. If you are having guests these can be prepared a couple of hours ahead of time and stored in the fridge. 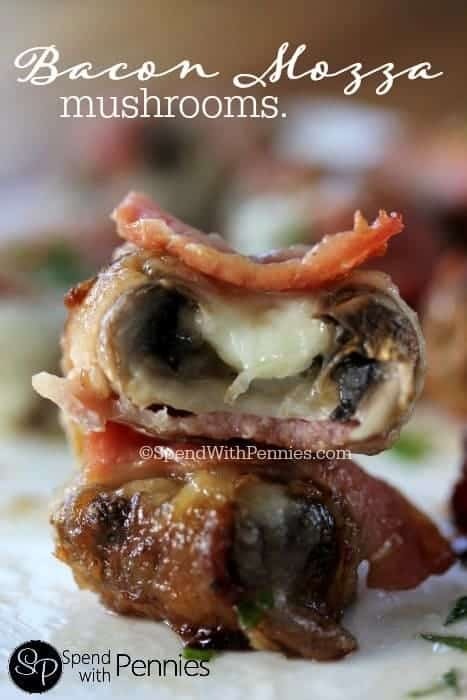 Bacon Mozza Mushrooms! 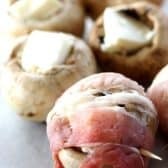 My favorite Stuffed Mushroom Recipe! Wash mushrooms and remove stem. 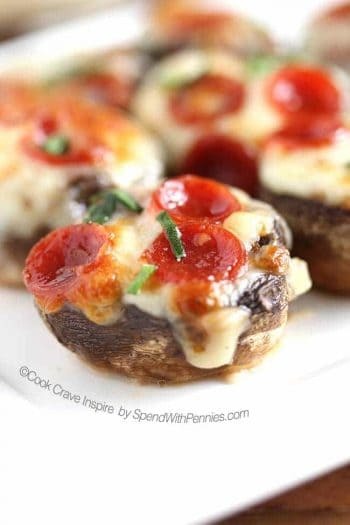 Fill each mushroom with 1 cube mozzarella. Cut each slice bacon into thirds. Stretch and wrap 1/3 of a slice of bacon around each mushroom. Secure with a toothpick. Place on a parchment lined pan and bake 18-22 minutes or until bacon is crisped. Serve warm.